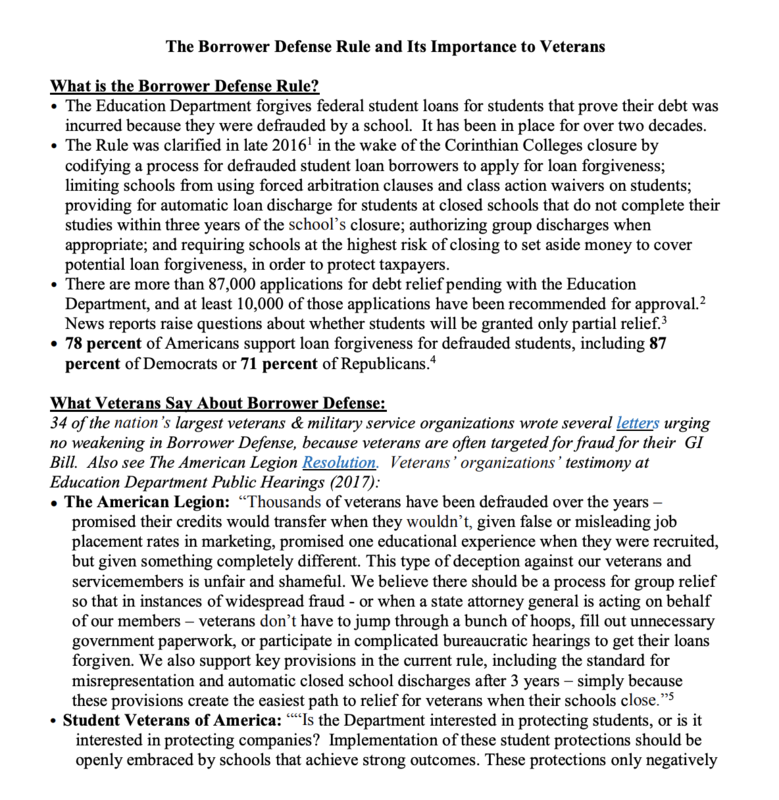 The Borrower Defense Rule gives the Education Department the authority to forgive federal student loans for students that prove their debt was incurred because they were defrauded by a school. It has been in place for over two decades. The Rule was clarified in late 20161 in the wake of the Corinthian Colleges closure by codifying a process for defrauded student loan borrowers to apply for loan forgiveness; limiting schools from using forced arbitration clauses and class action waivers on students; providing for automatic loan discharge for students at closed schools that do not complete their studies within three years of the school’s closure; authorizing group discharges when appropriate; and requiring schools at the highest risk of closing to set aside money to cover potential loan forgiveness, in order to protect taxpayers.